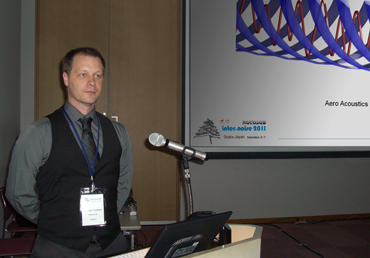 RotoSub presented the invited paper "Towards a new era in fan design - RotoSub the active fan" at the Osaka congress InterNoise 2011 Sound Environment as a Global Issue. The paper was presented in the session "Active Noise Control - New Target of ANC". The response has been large and very positive and we would like to take a moment to thank all of you that contacted us and came to see us during the congress. We tied many new contacts and partnerships and we are looking forward working with all of you bringing this exciting technology forward. We would also like to thank the InterNoise 2011 Organizers for organizing a great congress.